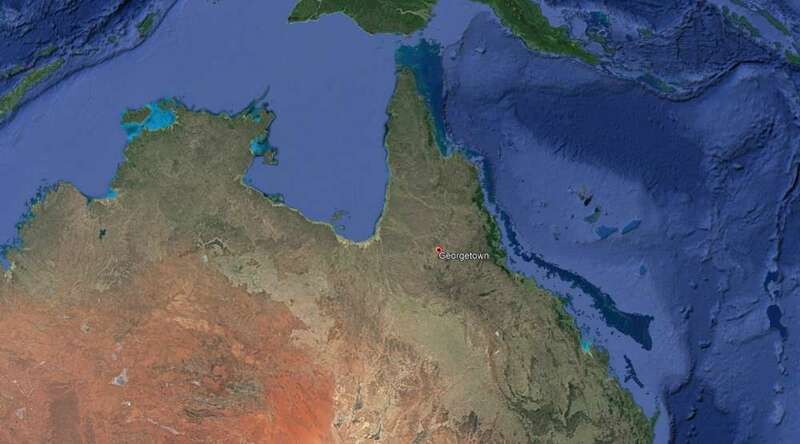 In what looks like a case of a jigsaw mishap on a tectonic scale, a team of researchers led by Curtin University (CU) has found a piece of North America – specifically, Canada – in northern Australia. This means that part of Australia was attached to and was part of North America, around 1.7 billion years ago. While this may seem odd, and is quite a striking find for geologists, it’s not all that bizarre. Remember, on human timescales, the continents seem like unmoving colossi, but to the planet, they’ve been moving around like flotsam on an ocean. The world was not what it once was, quite literally. Although a higher internal temperature pushed tectonic plates around somewhat more aggressively than is currently observed, the process of plate tectonics has remained largely unchanged for several billion years. Once upon a time, there was a continental mass named Laurentia. Some of its rocks are 4 billion years old, and it’s been in a (relatively) single unified piece for just over a billion years. This stable, ancient piece of the crust now forms the geological core of North America, and much of it makes up what we recognize as Canada today, but it wasn’t always there – it’s been up and down this world, joining supercontinents and breaking away from them time and time again. Weirdly, according to recent mapping by this particular team, the North Australian Craton has also got segments of Laurentia in it too. Not very many, mind you – potentially a few segments of the spikey top of Australia, and, rather adorably, the rock beneath Georgetown, in Queensland, which has a population of no more than 250 people. A careful new dating analysis of the rocks there seem to match them up with those found in Laurentia, dating back to the Proterozoic eon, between 2.5 billion and 541 million years ago. So how on Earth did they get there? According to the Geology paper, the rocks beneath Georgetown – the Georgetown Inlier – were originally part of western Laurentia. In fact, for some time, everything was stuck together. A little later than 2 billion years, the world had almost finished assembling a supercontinent by the name of Nuna (or Columbia). Much of the continental mass we see today was spliced together in a gigantic puzzle piece, including Laurentia and Australia. Then, 1.7 billion years ago, the Georgetown Inlier pieces were then deposited in an epicontinental rift, a sea or ocean overlying a massive continental shelf. A growing chasm began to tear the Georgetown Inlier away from Laurentia around 1.66 billion years ago, leaving a volcanic arc in its wake. Around this time, Nuna itself gradually began to self-destruct, break up, and rift apart. By around 1.6 billion years ago, as Laurentia made its way northwards, this tiny Inlier refused to tag along, and instead remained behind and collided with northern Australia. He describes the Georgetown Inlier as a “continental ribbon,” a rather beautiful term for “a piece of continental crust that has rifted from a craton,” in this case Laurentia. “New Zealand is a modern example of this,” he added. Although this isn’t the first paper to suggest that parts of Australia could in fact be imposters from Laurentia, it is the first to definitely conclude this. Now we know a little more about the story of a long-lost supercontinent, one that’s baffled researchers ever since its chaotic jigsaw pieces were first discovered.